Hand knotted bamboo yarn in a washed light grey, featuring traditional detailing in tones of beige and subtle light blue. Dimensions 108.0 In. X 72.0 In. X 4.57 In. 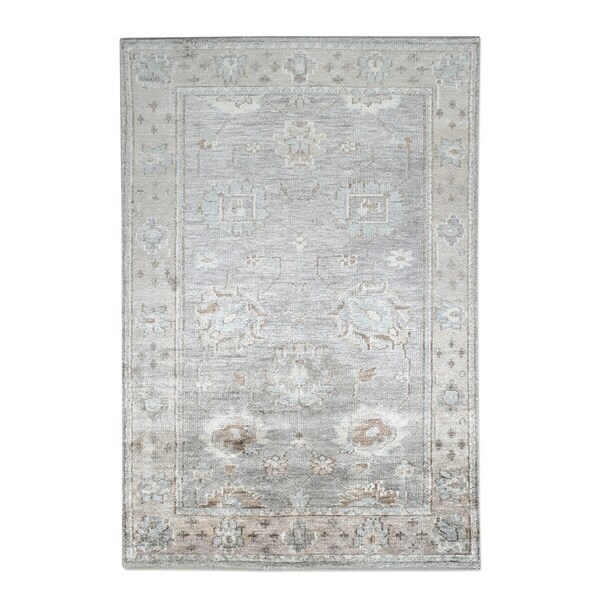 Corina Farm House Vintage Bone Oriental Area Rug by Admire Home Living - 5'3" x 7'3"